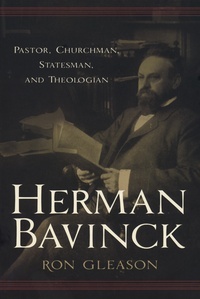 Highlighting the breadth of Herman Bavinck’s experience in theology and politics, Ronald N. Gleason offers the English-speaking world a vivid picture of the Dutch theologian’s life. Gleason, a leading authority on Bavinck’s life and ideas, brings to light Bavinck’s rich family heritage and contends that his family background played a crucial role in the development of the man who wrote the magisterial Reformed Dogmatics. This is a thought-provoking portrait of an influential man whose “vigorous and winsome integrated Calvinism,” as Roger Nicole describes it in the Introduction, continues to influence scholars and pastors today. —Michael Horton, J. Gresham Machen Professor of Systematic Theology and Apologetics, Westminster Seminary California.